With the retirement of the Space Shuttle, many have felt that a gap has been left in America’s space program. Boeing is developing plans to fill this gap with the X-37C. This shuttle is a variant of the X-37B, which has successful unmanned space flights flown by the U.S. Air Force Space Command. 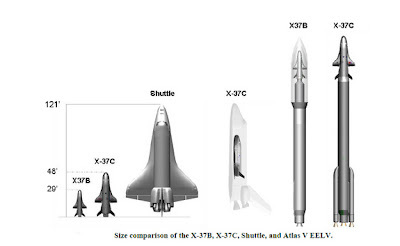 The X-37C would be a larger version of the X-37B that would be able to carry 6 astronauts, slightly less that the 7 that the Space Shuttle had the capability to carry. 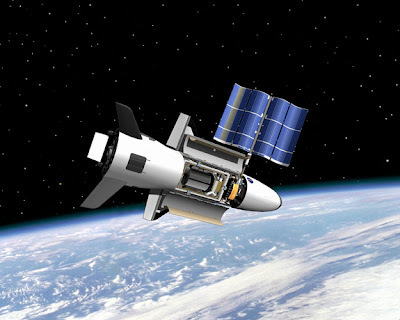 While the X-37C would most likely be computer controlled like the X-37B, there would exist the ability for the crew to pilot the spacecraft if needed. While other types of spacecraft are under development for use in low-Earth and intra-solar areas, this shuttle would require little development due to the fact that it is based upon an already successful design. The U.S. Air Force has flown two successful missions with the X-37B launched atop an Atlas V rocket. These missions have set a new record for unmanned reusable spacecraft at 244 days. This ability allows the U.S. Air Force to be able to place classified material into orbit for long durations, adjust the orbit when needed, and then return the material with a soft 1.5G landing. This is an ability that no other nation currently has or will have within the near future. 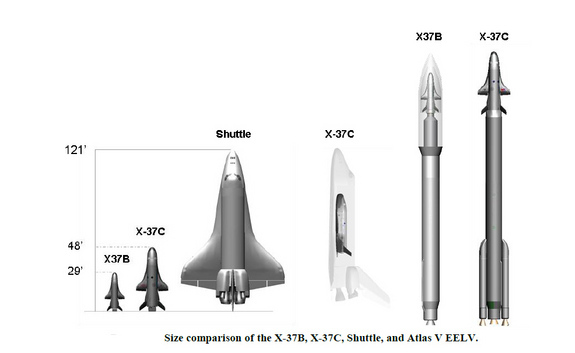 The only major difference between the X-37 series and the Space Shuttle is the size involved. Two X-37B’s could fit into the payload bay of the Space Shuttle. To be able to support humans the X-37C would be scaled up 160 to 180 percent of the smaller X-37B. This would still be smaller than the Space Shuttle, but would allow for extended space flight in a space plane that most likely would have the capability to dock with the I.S.S. The Space Shuttle was cancelled for several reasons. It was old technology designed in the 70’s, the cost of launching a Shuttle was prohibitively high, and there were dangers involved such as the foam damaging the thermal tiles on takeoff. The X-37’s are modern and have taken the lessons learned from the Space Shuttle to make a better space plane. Modern materials and design allow for lower cost for launch, higher safety, and better avionics. We all know that safety for the astronauts is a big concern as well. So who better to ensure that than Boeing, who has safely flown thousands of people all around the world everyday for decades. Even the Atlas V rocket that would be used in launch has a perfect launch record. 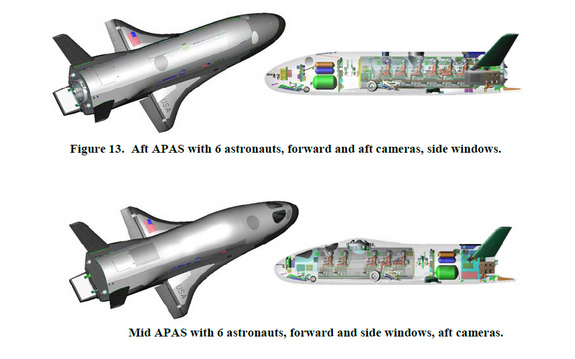 If we are looking for the capabilities of a re-usable space plane, the X-37 seems to be the best alternative. Many are truly searching for something to replace the Space Shuttle with and we finally have a viable option in the X-37C.